It’s time to get your last licks in on stripers. North Shore and North Fork linesiders have been feeding at mid-Sound and coming tight to the beach in the early morning and late evenings. South Shore bass have continued to slide west with the best action from Fire Island Inlet to the Rockaways. 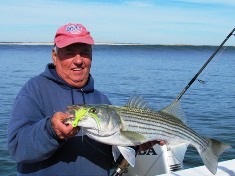 School stripers are now beginning to dominate the action, especially along the beach, so fish fast. 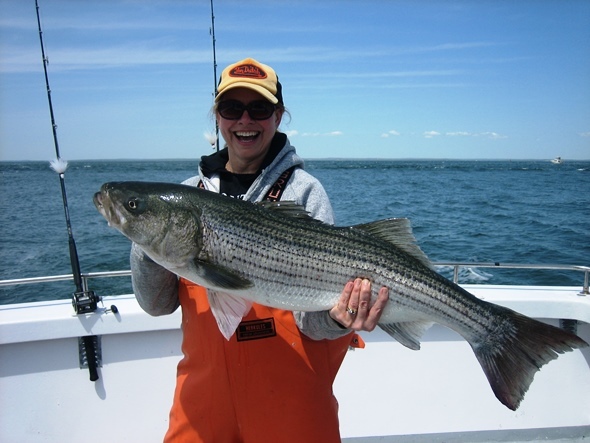 The 26-pounder above was taken a few years back by Jenny Boccio on the Orient Point charter boat, Prime Time 3. You know, there just never seems to be enough room in my columns, feature articles, books and videos to squeeze in all the good stuff. So here’s more of what you crave. 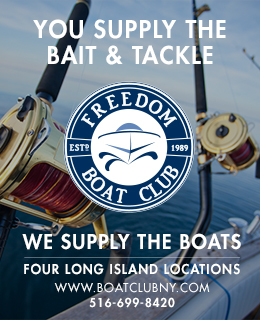 In this section of the site, you’ll find additional fishing, hunting and outdoors tips, reports, news, insights, photos, background and contact information that simply doesn’t make it to print in my Newsday, The Fisherman, and other columns, articles and videos. I’ll also update this section with fresh reports, special discounts and additional money saving bargains from time to time. There’s plenty more to come – so be sure to check here frequently for the latest and greatest information and back-stories available. To get the ball rolling, check out the photo of blackfish molars below that sheds a little light on how these fish ere able to crush and pulverize hard-shelled creatures like green crabs, Jonah crabs and even blue mussels. Most blackfish fans have heard that ‘tog have a second set of molars hidden deep in their throat. Few, however, take the time to dig in and give these dentures a real inspection. 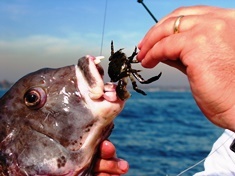 Standard blackfishing theory holds that you wait until the hook gets back past crushing molars before setting the point. This photo clearly shows the second set of molars – but they reside far deeper back in the throat than you might think. 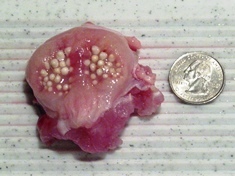 The molars in this shot came from a bulldog and were positioned near the back of the gills. This makes me wonder if the advice to let blackfish chew until they reach the second set of dentures, meant to pulverize shellfish, is really spot-on. Seems to me the crushing teeth are too far back. What you are really waiting for is the bait to simply pass beyond the front incisors with which a blackfish initially grabs its prey. You can see the front incisors in the second photo, along with a green crab bait presented shell and all for deep water bulldogs. For more on late-season blackfishing, check out the current Fishing feature: Monster Tog At 17-Fathoms. This set of grinders came from a six-pound bulldog and I found them much further back into the throat than you might expect. Check out the incisors on this bulldog blackfish. This is the exact fish from which the crushing molars were extracted. Here’s Don Eichin with a perfectly proportioned schoolie bass caught and released off the West End on an Asgard bucktail. Photo by Capt. Joey Leggio, Chasin’ Tail TV. Stripers are still hitting hot and heavy along the South Shore, although the schools are now dominated by schoolies. Ava 27 and 47 diamond jigs continue to the hot daytime lure with tubeless styles accounting for the most bass but those with green or red tubes also picking up some slammer blues. Action is stretched from Shinnecock all the way west to Rockaway Beach. A few bigger fish can be taken at night on Tsunami Holographic Sand Eels, Bombers and green Super Strike Needlefish. It probably wouldn’t hurt to add a black teaser fly ahead of your lure. On the North Shore, there are school stripers pushing in towards the North Fork beaches as I write this – I just took a break to watch the diving birds a half-mile off the beach. Flycasters are scoring in the wash early and late in the day by tossing Clouser Minnows, Epoxy Minnows and small Deceiver patterns. Small diamond jigs and Charlie Graves J8 tins are good for casting, especially when the fish are well off the beach. Blackfish remains super in most areas, especially now that we are coming down off the moon tides. It’s been one-stop shopping for charter boat out of Orient Point, action out of Huntington and Port Jefferson has been solid as well. There has also been solid blackfish action out of Shinnecock, Moriches, Freeport and Point Lookout. In fact, the latest party boat double involves mixed bag blackfish and sea bass trips with a shot at stripers if they are encountered on the way home.